Families enjoying the snow in Bridlington in 2013. You won't need to dig the sledge out just yet - but you will want to wrap up warm if you are heading out. 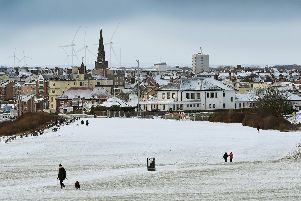 Bridlington has been hit by snow showers this morning and the forecasters are saying we are likely to see a few more flurries over the next 24 hours. The Met Office has a yellow weather warning for between 10am on Thursday and 10am on Friday, and temperatures are not expected to get above 3C for the next few days. 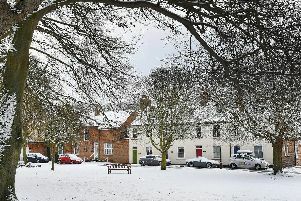 MORE: Some of our favourite photos of Bridlington in the snow. It says there will be sleet and snow showers today then ice during Thursday evening and night. "Some injuries from slips and falls on icy surfaces."